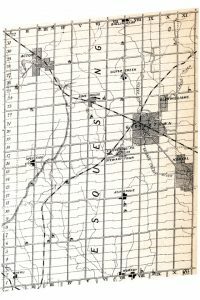 Esquesing Historical Society | "To Collect, preserve and publicize the history of Esquesing"
This map, copied from the 1877 Halton Historical Atlas, displays most of the small communities of Esquesing Township. By this time Georgetown and Acton are both incorporated towns. 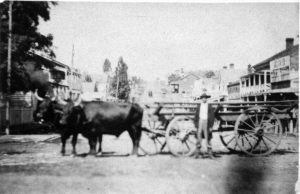 We are celebrating the 200th birthday of Halton Hills (Esquesing Township) by posting photographs from the Esquesing Historical archives. 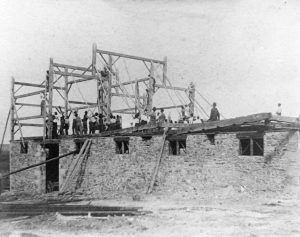 The first European settlers began arriving in this area in 1819. 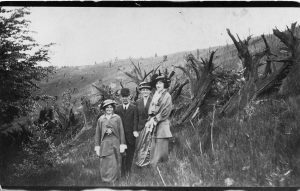 Their primary task was to clear the land of the massive thick forests. 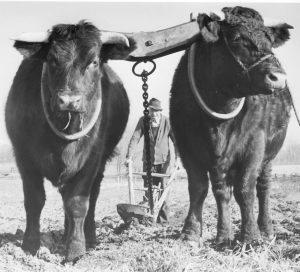 Oxen were essential to the early pioneers; they were more capable than horses. 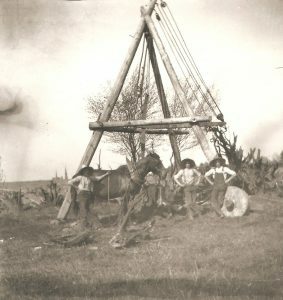 In the early years pioneers planted crops around the stumps. 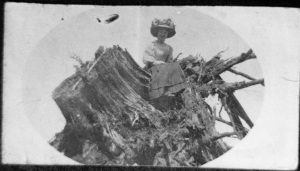 In time the stumps would rot and the stump pulling machine would be put into action. 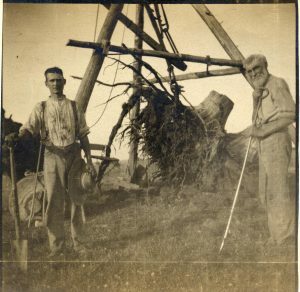 Some fields in this area did not have the last stumps removed until the beginning of the 1900’s. A few stump fences can still be seen along the rural roads. 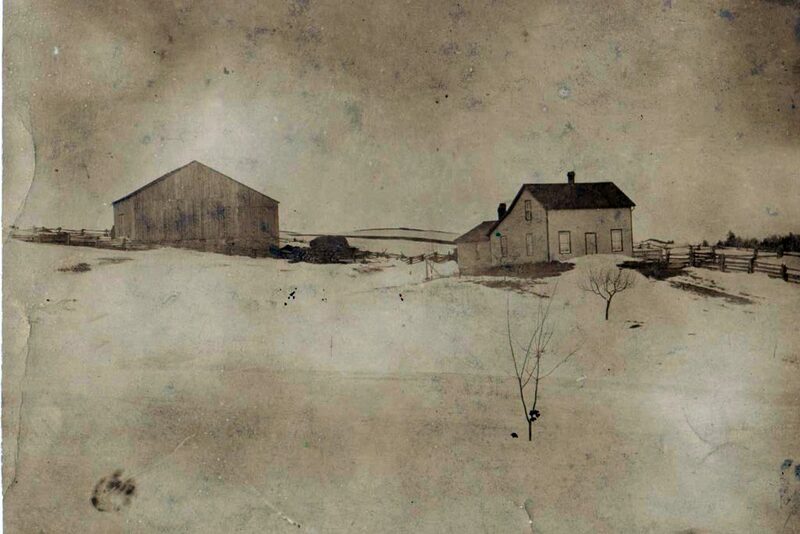 After the log house was built the barn for the livestock was next to be built. 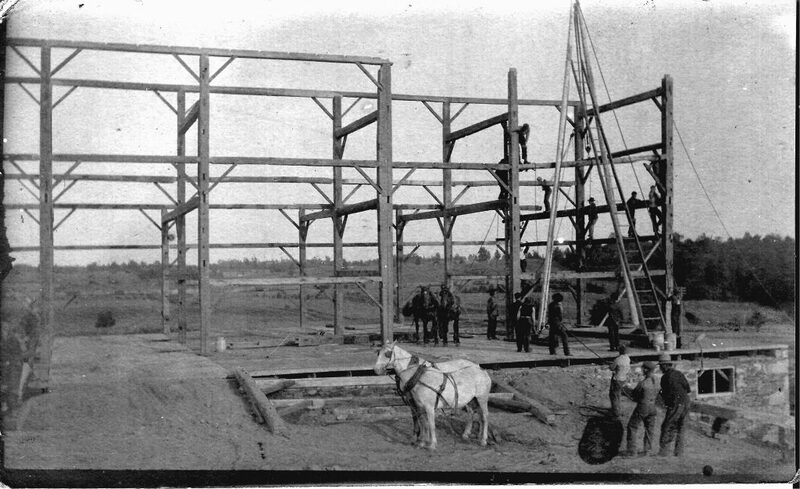 Neighbours in the area would gather for a barn raising. Sprowl Barn Raising (late 19th century) Lot 26 Concession 4.